The Magical Animal Fairies look after seven young enchanted creatures, training them to use their powers well. But now the creatures have been stolen by mean Jack Frost and his wicked band of goblins! 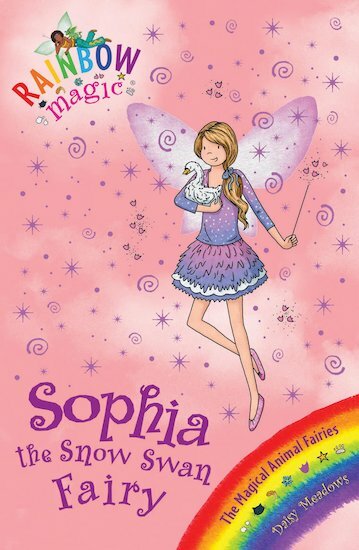 Can Kirsty and Rachel track down Sophia’s beautiful Snow Swan before it vanishes forever? Brighten up your screen with a free Rainbow Magic download! I want to read this soo much!! I think this book is really, really good. Really Good!